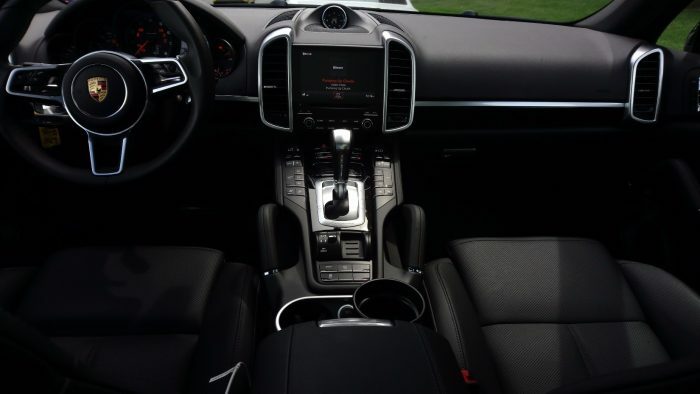 With a fuel efficient V6 engine, the midsize SUV offering from Porsche has a great interior design, with a distinct Porsche feel; lots of buttons, lots of soft-touch materials, and a great-looking layout. 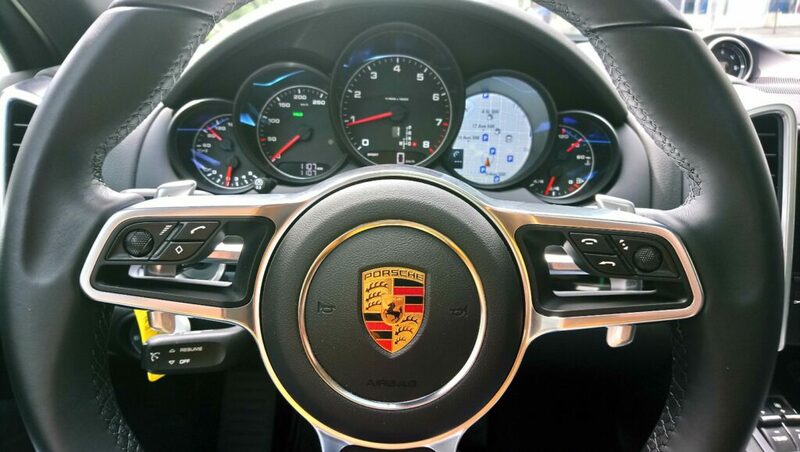 However, the fuel efficient engine does lack the oomph to launch the Cayenne into greatness. 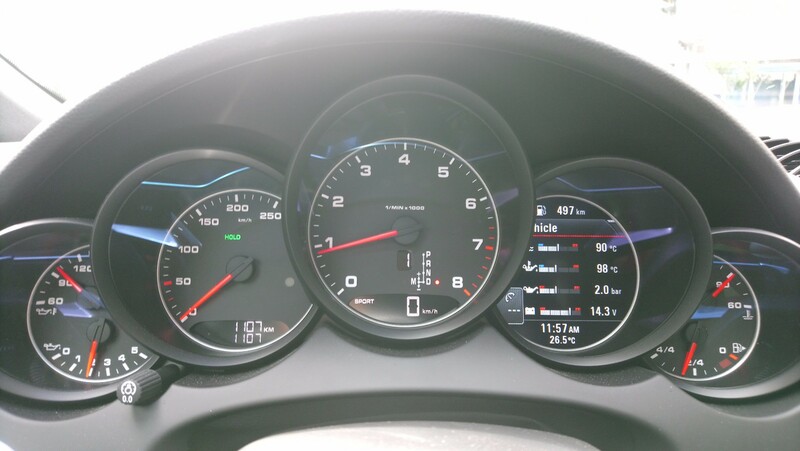 The interior cannot be beat, but the engine performance is marginal. I’d opt for the bigger engine offerings if you want a fun off-roader with AWD capabilities. The second-generation Porsche Cayenne is a big beast from the Stuttgart factory and aside from changes to the rear, with redesigned tail lights, and a more aggressive front, the side silhouette is essentially the same. The Cayenne has a definite taller presence next to their 911 offerings or the smaller Macan (that’s now selling like hotcakes). The front of the Cayenne is nothing to brag about, with the bumper reminding you of a catfish, but it’s a massive improvement from the first-generation Cayenne that looked like it was haphazardly put together. The rear is where the Cayenne shines, with the tail lights are more bubbly and angular compared to the old straight-block, square shaped tails of yesteryear. It’s more modern and will age better than the first generation counterpart. The interior is distinctly Porsche; top-notch quality materials, leather everywhere, and soft-touch materials surrounding the cabin. With a panoramic roof, it brings light to show off the interior details like the Stuttgart crest on the headrest, which is part of the Platinum Edition trim level. The biggest distinction of the Platinum Edition trim are the technological features that come standard for a great price. 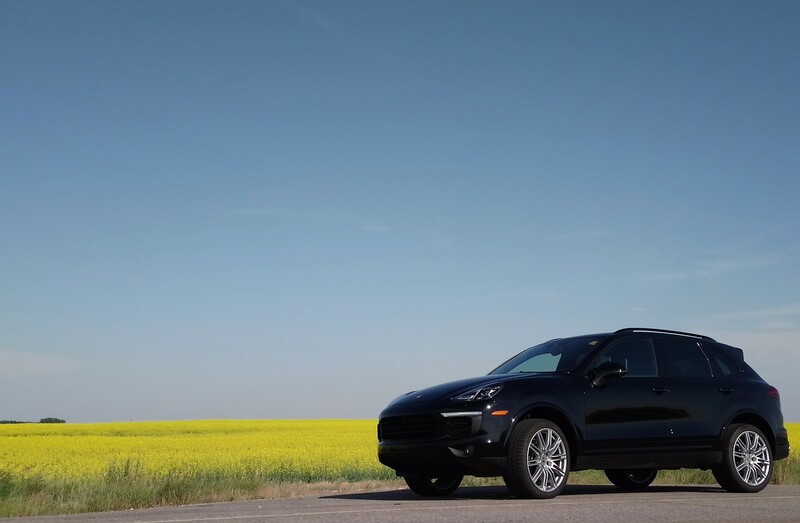 ‘Great’ is a relative term since the vehicle starts at $76,000 but it comes with standard features such as Power Steering Plus, Porsche ParkAssist system, and multi-way adjusted heated/cooled front seats, to name a few. The center console is stacked with buttons everywhere, which is very different from the knobs and dials of other brands. Other HVAC systems are less complicated, such as the Range Rover Sport, which still has the traditional chunky knobs so that you can control the heating with gloves on. However, if we’re comparing the Cayenne to the Range Rover, the navigation system in the Cayenne is miles better than the archaic setup that the Range Rover Sport offers. 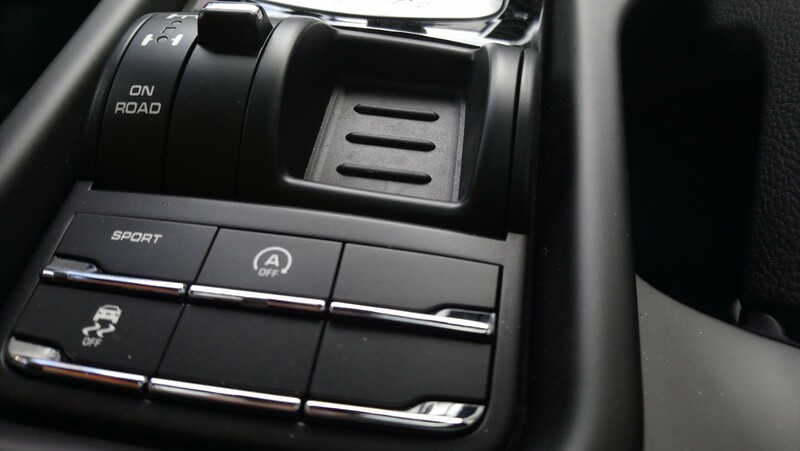 The Porsche’s navigation and media console went to great lengths to be user friendly and it shows. The native Apple CarPlay integration is a nice touch and would greatly appeal to the very affluent customers that will be able to buy this vehicle in great numbers. If the Cayenne and the Macan are meant to keep the company afloat and continue to produce great hits like the 911 GT2, then by all means, continue to support the cause. Keep buying it, folks! 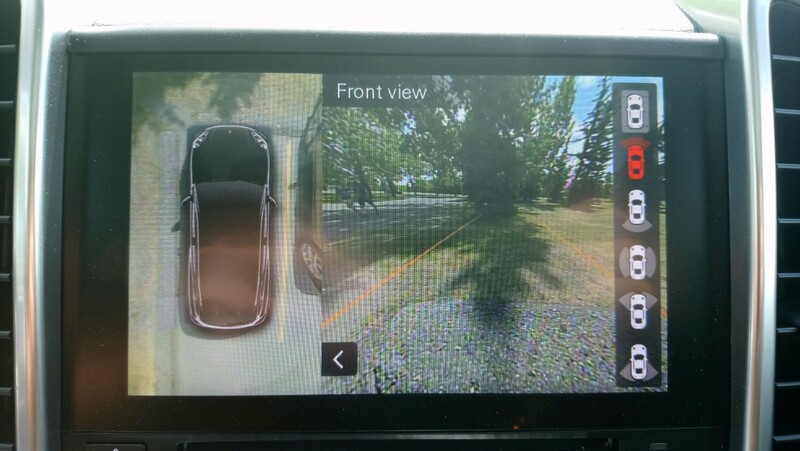 The Porsche ParkAsisst comes with cameras all over the exterior of the car, giving you a bird’s eye-view of the surroundings. It’s great for trail sessions, especially if there are rock courses to watch out for. Especially useful since you don’t want to puncture the low-profile Michelin tyres wrapped on the 20-inch wheels. The Cayenne handles well around the corners for a vehicle with a high center of gravity, but you can feel the sheer weight of it. The V6 engine is great for fuel consumption, but the power is inadequate for situations where you need the torque. You’ll need to downshift a couple of gears, and fully utilize the 8-gear Tiptronic S to do a powerful highway overtake. Around town, the mileage was stellar with 12-13L/100kms on premium fuel. It has torque but once it hits 3-4000 rpm, it peaks and the weight starts to hinder performance. The 3.6 litre V6 shows the lack of adequate power on uphills, where it’s very dependent on gear shifts to catch up to traffic. Your fuel mileage takes a hit to catch traffic, so if you plan to haul a boat or an RV with this, then it’s best to check the other engine options in the lineup. Too bad they had to discontinue the diesel engine, as it had the torque to get moving with the fuel efficiency to boot. Oh, Dieselgate… Why did it happen? On-road impressions were great and the car was able to absorb bumps with ease. The rear seats were able recline It’s a comfortable, spacious people carrier that has a brand prestige on the hood. You know, if you’re into that. The Cayenne shows their presence when parked beside other cars or other SUV’s. People just seem to be attracted to the Porsche badge. Something about the Porsche aura is magnetic. Perhaps it’s the lineage of the 911, a car that made sportscar history that seemed ludicrous on paper but somehow made it work. I mean, rear-engine, rear-wheeled sports car? It defied convention but it worked. It took out many lives, but it worked, even if it did earn the nickname “The Widowmaker”. The Cayenne is in a crowded segment with other midsized SUV’s such as the Audi Q7, which is based on the same platform, the Range Rover Sport, BMW X5, etc. The bubble-shaped rear of the Cayenne limits the trunk space compared to the competition, but the Cayenne is more focused on the interior offerings and driving dynamics. If you want for luggage space, look to the competition to get a better deal. 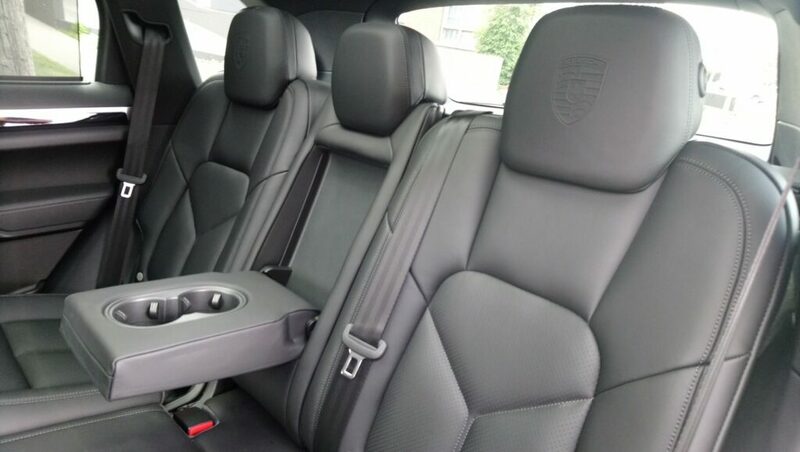 However, if you can afford a Porsche Cayenne, you’re not really looking for a great deal but something that you want to be seen around in and to enjoy the trip to the market in style and grace. I’m curious how this would have handled the off-road environment, but that’s for another day. At $76k to start, the Platinum is certainly not a strong contender on value alone. If you’re concerned about bang for your buck, you’re in the wrong segment entirely. 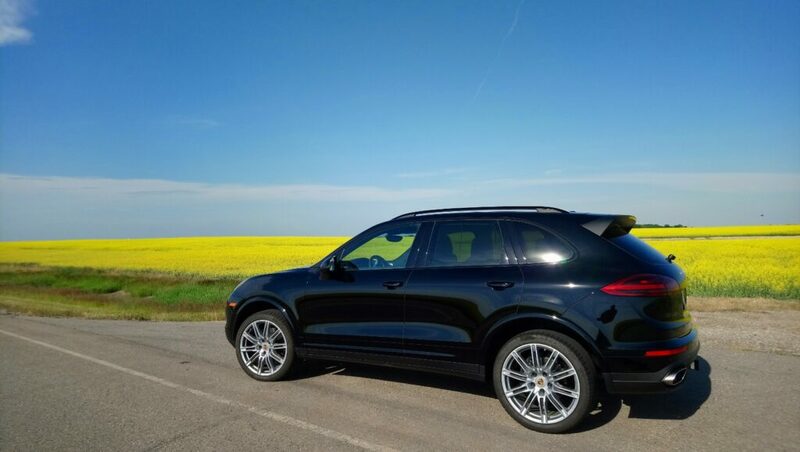 If you’re concerned about a well-made, well-driving midsize SUV that has excellent handling dynamics and top-notch fit and finish, this Porsche is a worthy consideration. If you’re looking for more power, adding $10,000 to the bottom line bumps you up into a Cayenne S that’s sporting a 420 horsepower 3.6L V6. The increased power reduces 0-60 time to just 5.2 seconds (or 5.1 if you opt for the sport chrono package).